After just a few years of service galvanized condensate pans start to corrode. Corrosion creates low spots in the pan where water can pool. This pooling accelerates the corrosion process and eventually causes the pan to leak. The standing water also promotes biological growth, blocking the drain and resulting in pan overflows. As can be imagined, both scenarios can result in extensive water damage and costly repairs. To solve these problems, CRT created Pancrete pan resurfacer. 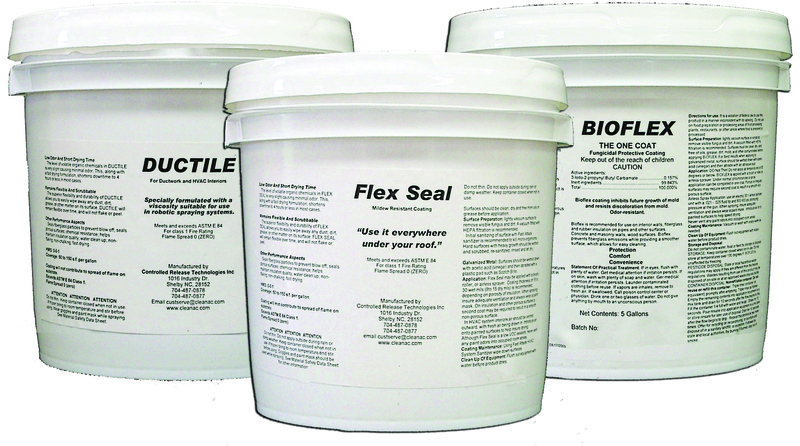 Pancrete is pourable and self-leveling, providing the condensate pan with a flat, level surface that does not corrode. Additionally, Pancrete contains an anti-microbial preservative, which prohibits it from becoming a food source for microorganisms. Simply said, no food, no growth, no overflows. 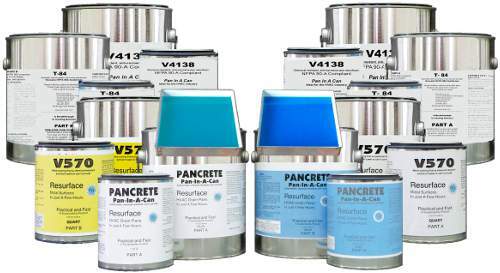 For close to 15 years, Pancrete users have been thrilled with the results. Not only does Pancrete save thousands in repair and replacement, but it is easy to apply, requires limited downtime, and results in a finished product people are proud to show off. 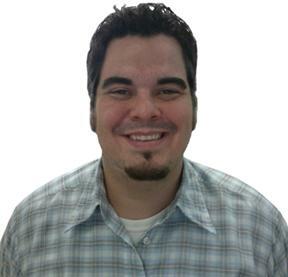 How many companies do you know that want you to look in their air handler units? Well many of our customers are doing just that! Recently we added a section to our website showing off just a few of the thousands of Pancrete jobs performed over the years. Please visit http://www.cleanac.com/project-showcase, click on a company and see what Pancrete could do for you. And if you’ve already used Pancrete before and have a job you are proud of, please submit pictures and short description of the job to marketing@cleanac.com. 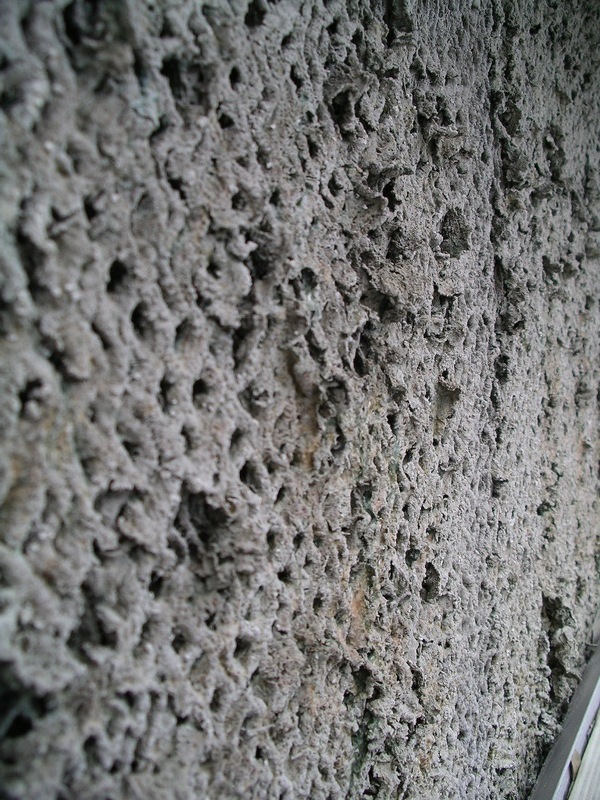 During normal operation of an HVAC system, particles and contaminates enter through the air and build up on the coils. According to the Energy Star Maintenance Checklist, link. “Dirty coils reduce the system’s ability to cool your home and cause the system to run longer, increasing energy costs and reducing the life of the equipment.” Constant cleaning of coils by personnel is expensive and time-consuming, and often results in a trade off. Either more money must be spent on preventive maintenance, or more will be spent on energy costs and replacement. For this reason, having dirty HVAC coils is seen as unavoidable. For treatment, there are numerous coil cleaners including non-acidic, non-caustic and foaming. While all clean coils at different levels of effectiveness, they are only momentarily effective. Once the system starts back up, buildup begins until the next cleaning. For this reason, an effective plan includes applying a preventive product that deters contaminate accumulation. At CRT, we have developed the following products to protect HVAC systems from unnecessary buildup. By using our Micro Coat Product Line, both condensate and evaporator coils can remain clean and buildup free, prolonging the time between cleanings and saving both time and money. 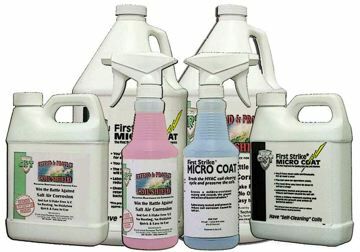 First Strike Micro Coat is an independently GREEN certified coating designed to protect against unnecessary labor and costs. First Strike Micro Coat reduces recurrent deposit buildup on HVAC evaporator coils by providing a clear molecular layer, or micro coating, of protection. 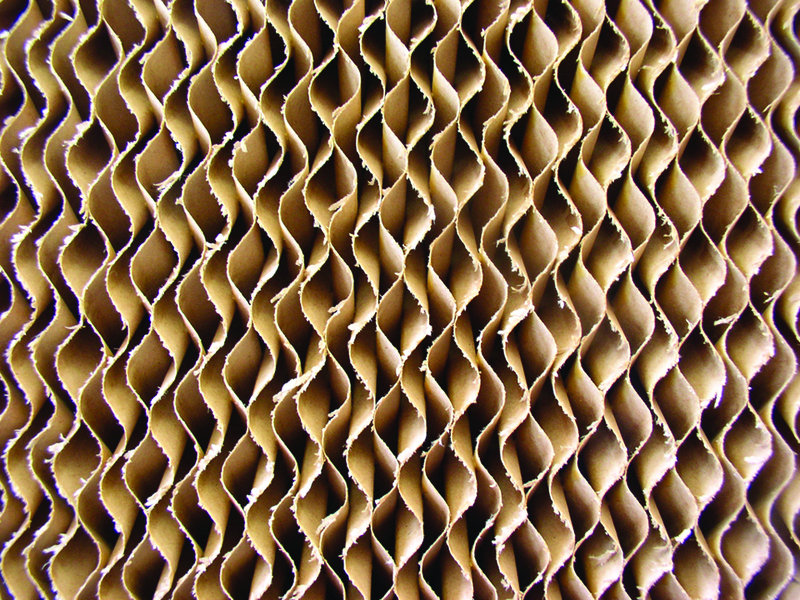 Once cleaned, evaporator coils remain clean up to one year or more. Coil Shield is a coating designed to protect condenser coils from corrosion. 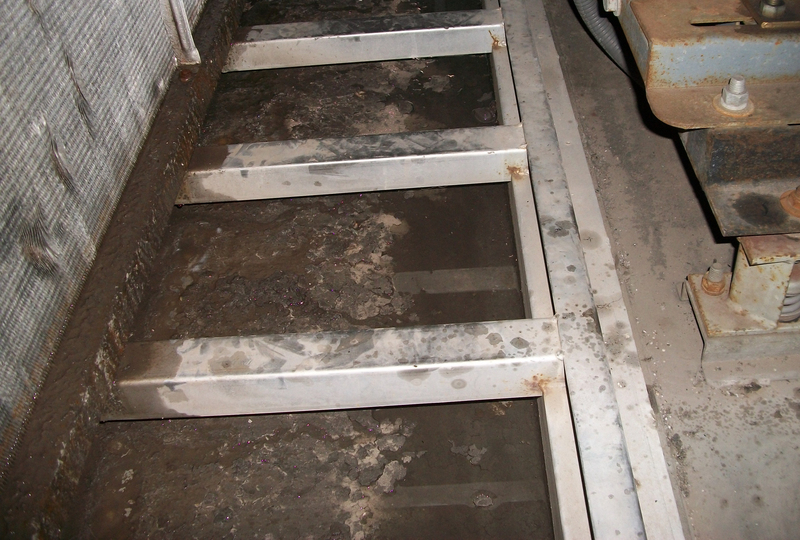 In high salt and industrial areas, corrosive elements are pulled into HVAC condensers. This causes the system to run inefficiently, and eventually leads to condenser replacement. Coil Shield provides a clear molecular layer, or micro coating, of protection that lasts up to one year or more. Occasionally, potential clients request CRT’s assistance evaluating their HVAC maintenance needs. One such case occurred a few years ago at a large business facility experiencing a pan overflow. When initially questioned, the building owner admitted that he had no on-site staff and contracted out all HVAC work “as-needed.” This was glaringly obvious upon entering AHU #21760. If you think this picture is disgusting, you can only imagine the smell. It has been said, if it looks like a duck and sounds like a duck, then it must be one. Well this smelled like the duck had died. Further questioning revealed that it had been over a year since this unit was last inspected, and at that time tablets had been used to try and control dirt and grime buildup. Now this owner was facing a major overhaul of the unit, including water damage to surrounding structures. All this, just to save a few dollars. At CRT, we developed our Timed Release Product Line to essentially eliminate leaks, clogs and overflows. By using the following products, condensate pans remain clean and deposit free, protecting buildings from costly water damages and maintenance expenditures. PanGuard, an independently certified Green Product, is the original, timed-release polymer strip. PanGuard eliminates clogs and overflows due to deposit accumulation in HVAC condensate pans, and is engineered to meet the needs of individually sized units. Once a condensate drip pan has been cleaned, it remains clean for three to six months. 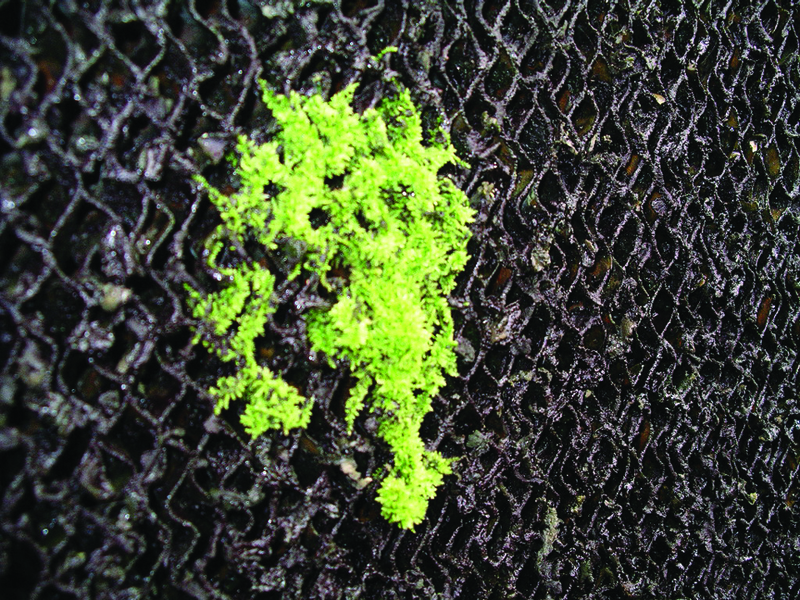 Algae Guard is an EPA registered, timed-release polymer strip. Algae Guard eliminates clogs and overflows due to mold and fungus accumulation in HVAC condensate pans, and is engineered to meet the needs of individually sized units. Once a condensate drip pan has been cleaned, it remains clean for three to six months. To learn more feel free to contact us, and please, share your AHU condensate pan horror stories and pictures in the response section below. 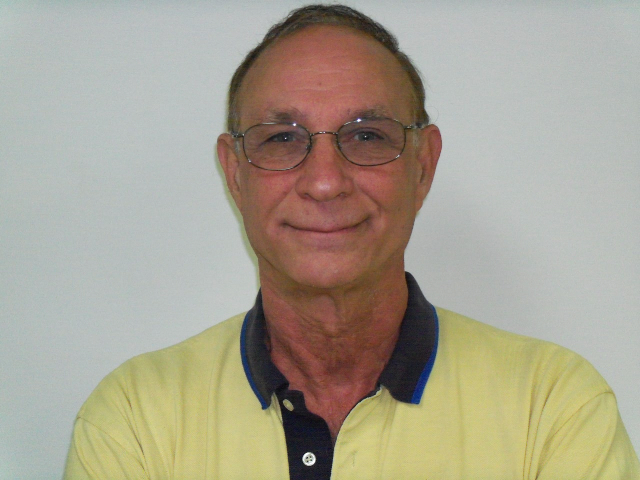 Controlled Release Technologies, Inc., a research, development and manufacturing firm based in Shelby, North Carolina. CRT is an IFMA CSP, EnergyStar Partner and manufacturer of independently-certified Green products for HVAC maintenance. Since 1986, CRT has been creating leading edge HVAC maintenance products that have become industry standards, used in thousands of commercial buildings world-wide. CRT employees are members of BOMA, ASHRAE, ASHE and the American Chemical Society. www.cleanac.com (800) 766-9057.